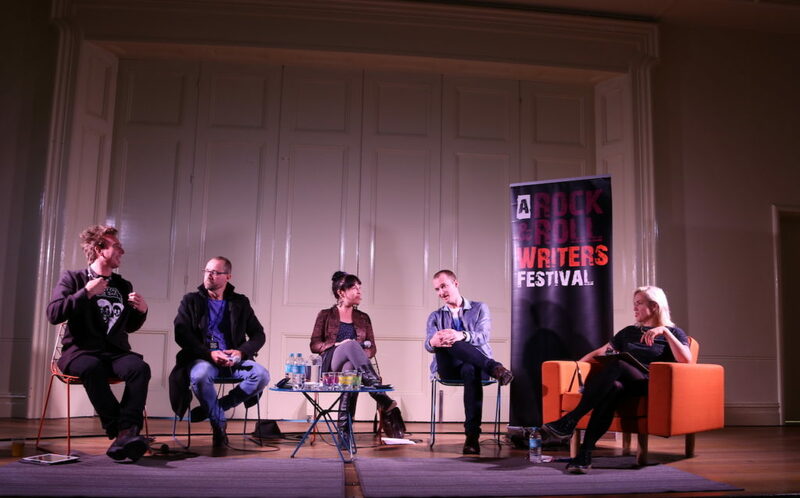 I was invited to speak at the one-day tour edition the Rock and Roll Writers’ Festival (RRWF), 2017, presented in Melbourne. I’d been at the inaugural festival the year before in Brisbane. In Melbourne, I talked with music critics Andrew McMillen (freelancer), Mikey Cahill (Herald Sun). and Michael Dwyer (Fairfax, Rolling Stone). It was a lively conversation called ‘Nothing Can Hurt Us’ moderated by Jenny Valentish. I wrote about RRWF in the intro to my Guardian column, here.